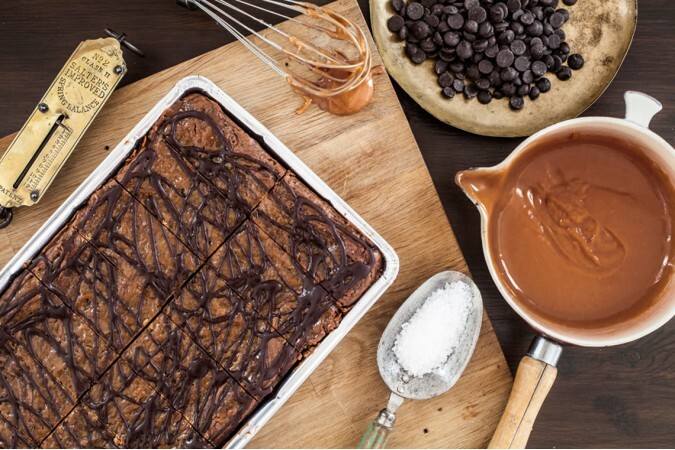 Based on our award-winning Ultimate Brownie, swirled with a rich and gooey salted caramel. Whoop whoop!! Caramel 29% (8% Fat Sweetened Condensed MILK [contains Sucrose, MILK Fat], Soft Light Sugar, Salted Butter [Butter (MILK), Salt], Invert Sugar Syrup [White Sugar, Cane Sugar, Water]), Soft Light Sugar, Dark Chocolate (Cocoa Mass, Sugar, Cocoa Butter, Emulsifier: SOYA Lecithin, Natural Vanilla Flavouring. 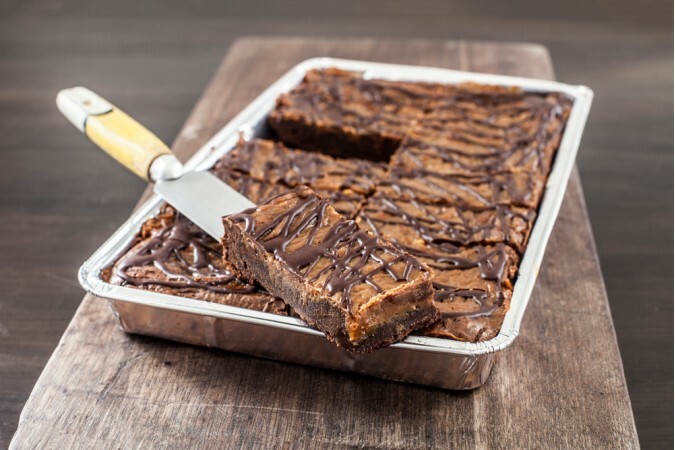 Contains Cocoa solids 72.3%), Salted Butter (Butter [MILK], Salt), WHEAT Flour (WHEAT Flour, Calcium Carbonate, Iron, Niacin [B3], Thiamin [B1]), Free Range EGG, Cocoa Powder (Cocoa Cake, Potassium Carbonate), Sea Salt Flakes 0.5%.